"California Stars" was originally a lyric by Woody Guthrie that the band Wilco finished for their album of Woody lyrics, Mermaid Avenue. 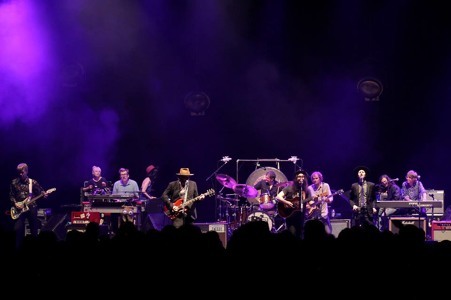 Beck joined Wilco for 5-6 songs during a show in 2013 and one of the songs was this one. Beck played guitar and harmonica and sang back-up on this song.